Before the bags and scarves, luxury brand Hermès got its start in 1837 as a manufacturer of horse equipment. Even from its equestrian beginnings, the company has always specialized in elevating the utilitarian to the sublime. 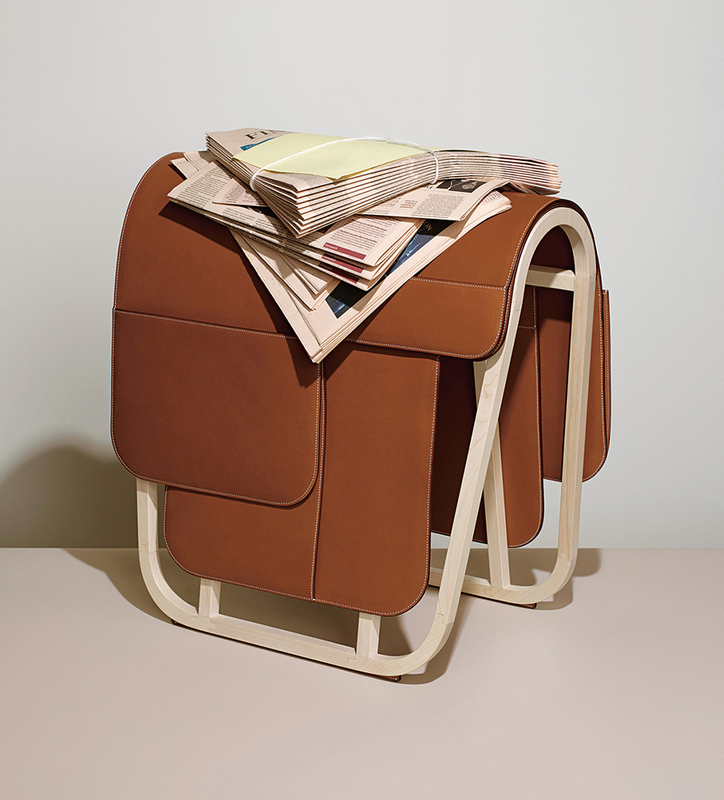 This magazine rack, part of the Équilibre d’Hermès home goods collection, is no exception: Paying homage to the 19th-century saddles that started it all, the rack’s careful proportions of natural maple and leather evoke balance and simplicity. And in the same way boxed mac ’n’ cheese tastes a little better on heirloom china, it’s sure to class up even your trashiest tabloid. Maplewood-and-leather magazine rack, $23,400, Hermès.